CFP Challenge Status is the fastest way to complete CFP Certification. 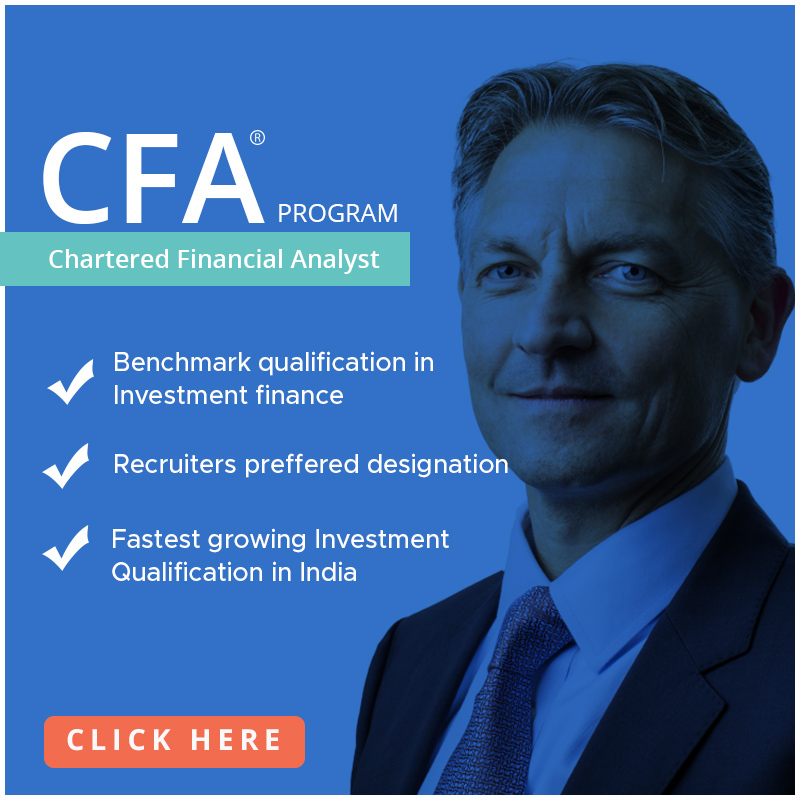 In CFP Challenge Status exam, one has to write only Advance Financial Planning Exam. Only Candidates with selected Master Qualification or Professional Qualification with relevant 3+ years of experience are eligible to write this exam. 3 months Audio – Video enabled “Live & Interactive” training program on CISCO Platform. Excel based training to make training more oriented towards the exam and practical applications. Updated study material/books of all the modules. In the Challenge Status Exam, the candidates have to write only the Advance Financial Planning module. But this module brings together the learning of all the modules. Therefore, one need to go through all the modules before he/she can attempt the Advance Financial Planning module. Financial Planning is introduced with the six-step process which includes Financial Planning process, Client Interactions, Time Value of Money Applications, Personal Financial Statements, Cash flow and Debt Management, Asset Acquisition, Education Planning, Overview of Risk Management, Investment Planning and Retirement Planning, Special Circumstances, Plan Integration, Ethics and Business Aspects of Financial Planning. This module focuses on the knowledge requirements relating to insurance and risk analysis for a CFP certification. It introduces students to risk analysis and insurance decisions in personal financial planning. The end goal for the module is planning for clients’ exposures to mortality, health, disability, property, liability and thus gaining a perspective of the long term risk for the client. This module emphasizes the knowledge requirements related to retirement planning and employee benefits for a CFP professional. This module stresses on the process of wealth creation, retirement planning and strategies for clients. This module provides an introduction to Investment Planning, Investment vehicles, investment strategies, Regulation of an investment advisor, Application to clients, etc. Portions of Tax Planning and Estate planning that are relevant to a CFPCM professional is covered in this module. This module brings together all that has been learned and supplements it with other miscellaneous topics. The module caters to the final goal of the course i.e. constructing a comprehensive Financial Plan for a client. Education: A candidate must be a CA / Intermediate level, CFA (US), ICWA, CAIIB, CS, LLB, PhD, M.Phil, PG, Licentiate/Associate/ Fellowship of Life Insurance, Actuary, FFSI & FLMI from LOMA, Civil Service Examinations by UPSC. After the completion of Final Module i.e. 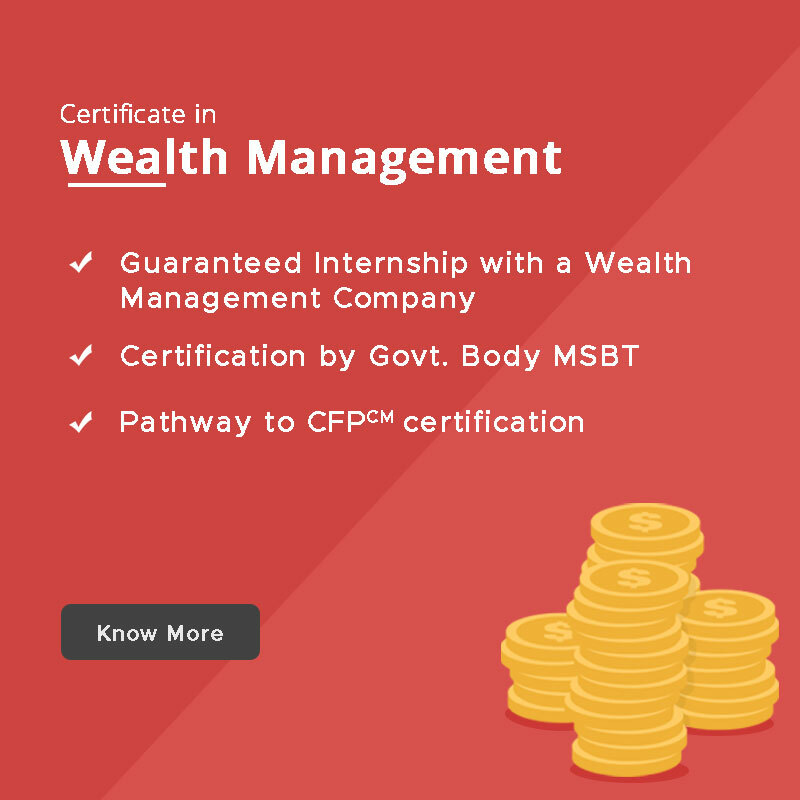 “Advance Financial Planning” and completion of experience criteria you will get “CFP Certification” from FPSB India.